250 million – that is the staggering number of skilled workers India will need by the end of 2022. India needs a game plan to train this massive workforce, and achieving this kind of scale via physical classes would be an arduous process. Cue e-learning – its first attempt at being an effective learning tool failed because of its poor engagement with learners. However, led by the growing smartphone user-base and increasing internet penetration, the Indian market is expected to see an uptick of 6X in e-learning between 2016 and 2021 to reach 9.6M users. So, what’s different this time around? Micro-learning is learning facilitated through small learning units, effectively navigating the issues with e-learning. Micro-learning promises better learning outcomes due to better retention, it’s easier and cheaper to develop and deploy, and it overcomes the problem of reducing attention span of the learner through bite-sized content making it attractive for training and skilling adults. Does this mean it is time for startups to re-evaluate the scope of mobile-led micro-learning? 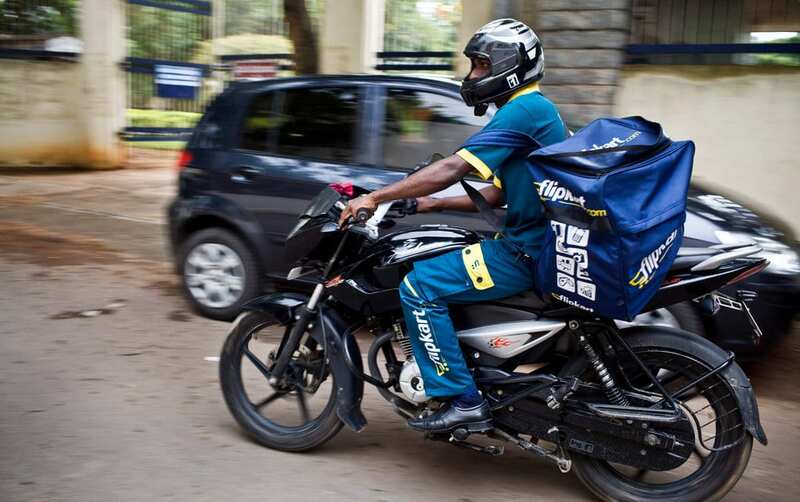 The demand for delivery boys and drivers has seen a steady climb since 2015 due to the rise of a number of new businesses that depend on their services. With this increase in customer-facing roles, training in soft skills, English language skills and computer literacy are needed to ensure quality customer service. While it was only accessible to the higher-income sections, micro-learning solution providers were able to reduce costs enough to make it affordable to the broader sections of our society. Renowned HBS professor, Clayton Christensen, boldly predicted that 50per cent of the colleges in the US will shut in the next fifteen years as education moves towards online courses and micro-learning. For professionals and students who are trying to switch career streams or upskill to land better positions while enrolled in school or holding down a job, the ease of completing micro-learning courses are being explored by online learning platforms like Coursera and edx. Udemy co-creates courses with large companies, lending more credibility to the courses while allowing these companies to actively create a pool of skilled potential hires. What will strengthen these platforms’ offering is their ability to give learners access to jobs. For employers, the allure of “just-in-time” training will allow them to update their employees’ skill set quickly when required and reduce their L&D cost by 30-50per cent as opposed to physical in-person classes, pushing them to be more proactive about their employees’ learning needs. Multiple institutes provide training for trades across India, offering certifications for plumbers, carpenters, masons, welders, etc. like the Indian Institute of Welding. But these require learners to attend classes in person. The solution is mobile-based micro-lessons that can be deployed in vernacular languages, supplemented with technology-based simulation to put the lessons into practice. With increasing pressure for having on-demand trained executives and employers reluctant to spend time and money in exhaustive classroom-based sessions, the only way forward is “learning-on-the go”. Affordable, accessible, outcome-led make micro-learning the necessity and not a choice for corporates and educational institutions. It is for startups and investors to maximise this greenfield opportunity at the earliest.